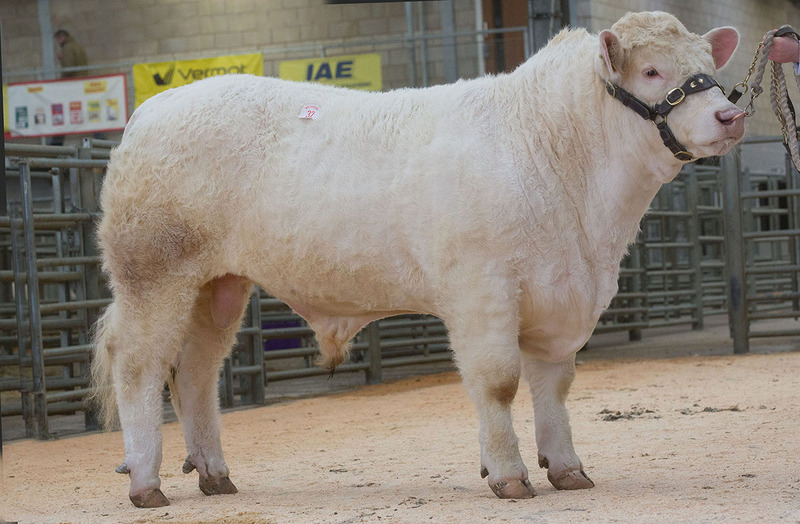 CHAROLAIS bulls sold to 5,500gns at Welshpool, with 18 lots selling to average £3,675, up £225 on the year. Trefaldwyn Laird sells for 5,500gns. Top price came from Arwel Owen, Ceredigion, with his 16-month-old bull Trefaldwyn Laird, the first of four top lots to be sired by Blelack Digger. Out of Trefaldwyn Brilliant, it was bought by H.T. Jones, Ceredigion. Following was a bid of 5,400gns from Carl Thomas, Powys, for the second prized February 2015-born Sportsmans Luthur. A son of the 70,000gn Royal Welsh champion Barnsford Ferny and out of Sportsmans Fantastic, it made second top price for Messrs Boden and Davies, Mellor Cheshire. 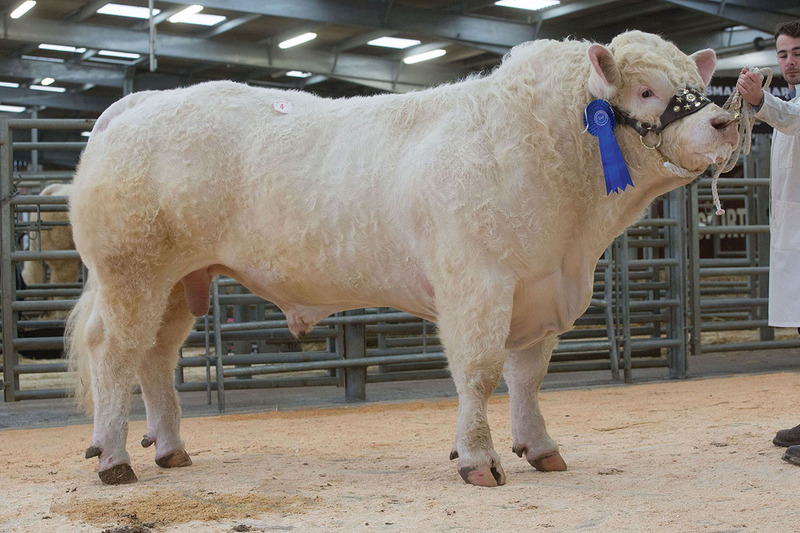 Esmor Evans, Flintshire, sold two bull at 5,000gns and 4,400gns. His best seller was the 15-month-old bull Maerdy Lofty, a son of Digger and Maerdy Hope which had won its class in the pre-sale show. It sold to D.G. and E. Williams, Welshpool, while R.I. and G. Davies, Wells, Powys, paid 4,400gns for the Maerdy Ulm-sired Maerdy Lleuad, October 2015-born and out of Maerdy Hiccup. Mr Owens was in the money again, selling the 17-month-old Trefaldwyn Leader for 4,200gns. Also by Digger and out of the 10,000gn Trefaldwyn Usk daughter Trefaldwyn Dream, it was knocked down to D.L.G. Price and Co, Llandiloes, Powys. Also at 4,200gns was a lot from Caylers Charolais, Nuthampstead, Hertfordshire. Caylers Lennox, born in November 2015, is by Digger and sold to T.W. Jones and Son, Knighton. At 4,000gns was the 21-month-old Moelfre Liam, from Keven Thomas, Castlenewydd Emlyn, Carmarthenshire. A son of Goldies Eddie, it sold to Tirnewydd Farms, Welshpool, Powys. The Caylers consignment continued their run, selling the 15-month-old Caylers Longbow for 3,800gns. By the 10,000gns Thurnton Goldeneye and out of Caylers Ballerina, it found a new home with K.R. Williams, Cornwall. Sportsmans Luthur is next best at 5,400gns. 28 bulls, £3,675 (+£225), 1 female, £1,050.